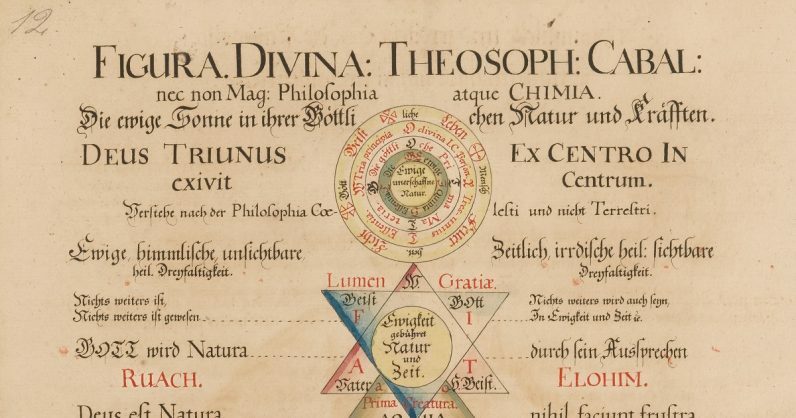 One of the world’s biggest collections of occult texts is going online, meaning anyone will be able to access and read hundreds of obscure and fascinating books for free. The Dutch Ritman Library is digitalizing its collection of occult texts as part of its Hermetically Open project — an initiative of library director Esther Ritman to make the library’s rare texts more accessible. Dan Brown, the author of The Da Vinci Code, was a major contributor to the project, donating over $300,000 to the Library in 2016 with the express purpose of getting the library’s Hermetic texts online where everyone can read and study them. It’s slow going, as one might expect. According to the library, the books have to be shipped off site, then carefully photographed on page at a time. The library has over 4,600 works in their core collection, and 1,617 of them are now available for perusal. They range in age from 100 to 600 years old, and are available in French, German, Latin, and English. It’s hard to tell what the books are because you can only find their titles by clicking on their (often nondescript) covers and then translating their info. Still, it’s nothing that can’t be improved. The texts are all fairly esoteric works of philosophy, religion, and mysticism, mostly centered around Hermeticism and Gnosticism. Among the works already online are an alchemical work by Nicolas Flamel, whom most of us will remember from Harry Potter, and a copy of the Koran from 1694.